There is no dispute about the value of reading to your children. It expands their vocabularies, develops their language and literacy skills, and helps them absorb important social-emotional understandings. In fact, the National Commission on Reading considers reading aloud to children “the single most important intervention” to help children become readers. Listening to stories develops their brains. The amazing thing is this: Your children don’t even have to put in the hard work of reading to actually grow their reading brain areas! A bit of background may help clarify the importance of these findings. Previous brain studies have shown the relationship between spoken language and reading ability by illustrating how brain areas genetically programmed for language are used later when children learn to read. Think of the brain’s language network as part of the operating system of a brand new laptop. Since human infants are born with the innate ability to create and comprehend language, the necessary mechanisms are preprogrammed in their brains. Reading acquisition however, is not part of the original computer software. It is a separate program added by each “user” or individual reader. Since there are no brain regions preprogrammed for reading, the language network is adapted for this new skill. Thus, the language network becomes the language-reading network. Compared to poor readers, good readers have bigger and more active language-reading networks as well as better connections to associated areas like long-term memory, emotional processing and executive functioning. And that takes us back to how reading aloud with children prepares them to read independently. A recent study found that young pre-readers (3– 5-year-olds) who had been read to a lot had significantly more brain activity in their language-reading network while they listened to stories compared with children with poor listening exposure. So, even without reading themselves, they are activating this network which will be so vital to them when they learn. Importantly, the children with robust literary experiences also had greater activations in areas associated with mental imagery, suggesting that they created pictures in their minds while listening. This ability is associated with narrative comprehension, recall, and also higher reading scores later on. 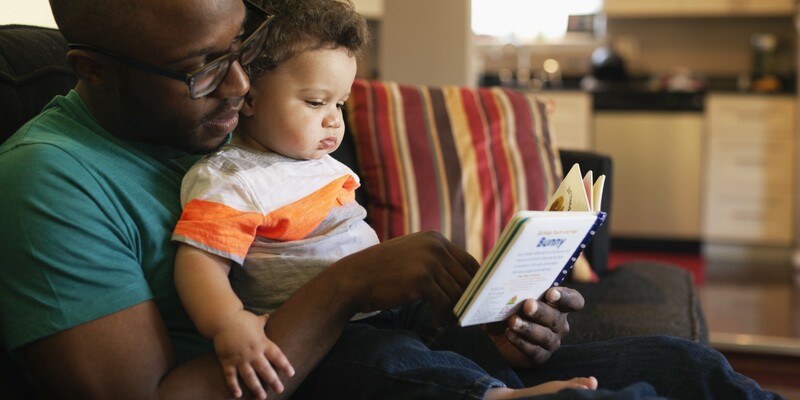 By reading aloud, you are literally helping your child create and strengthen gray matter and neural connections they will use when they learn to read. It’s almost too good to be true. For adults this would be like watching an exercise video and getting in shape without leaving the sofa. So make the time to read together. Ultimately, what is at stake here is your child’s future. If you found this interesting or learned anything new, please let me know by giving it 💚💚💚.